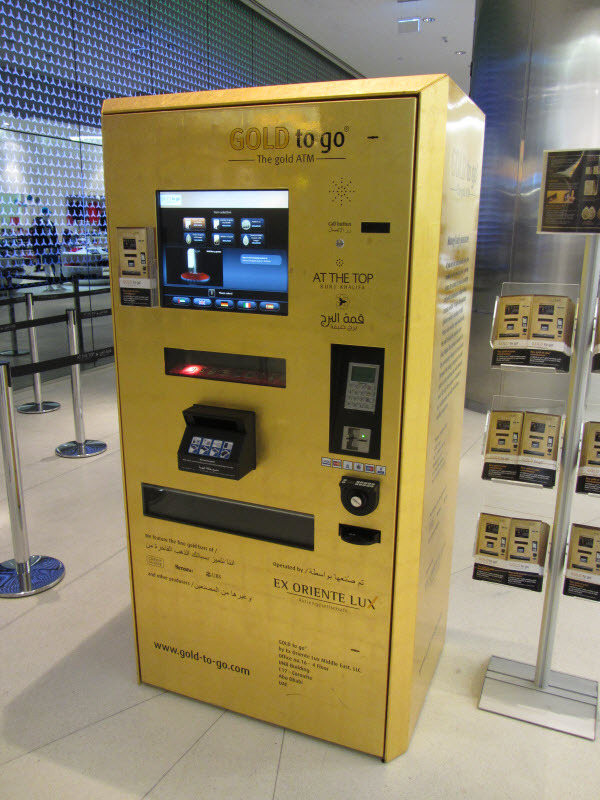 I had previously come across Gold To Go, the people who make ATM machines that dispense gold. Today I actually saw a couple of their ATMs at the Burj Khalifa. The idea is pretty simple and straightforward. You put in money (cash or credit card) and the machine spits out gold coins. Apparently the machines are hooked up to the internet and update the gold prices regularly. 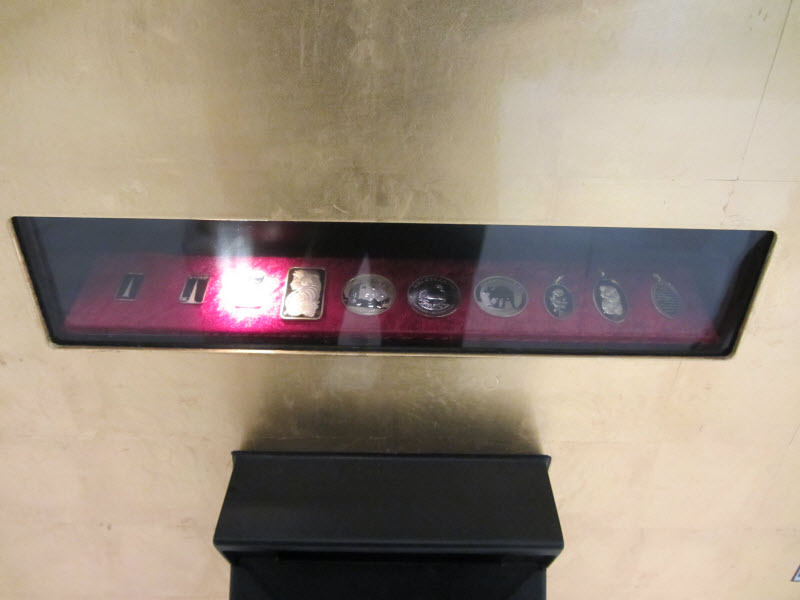 And these are the gold coins that this particular ATM dispenses.